Virtual Assistants – Reality or Revelation? You decide and approve, after which your VA will proceed to complete the purchase, which could be via OTP confirmation. Conducting financial transactions such as renewing an insurance policy involves several steps like initial research, recommendations from multiple sources, decision making, and finally providing personal information to complete the transaction. But in this future scenario, your VA will perform all these functions on its own! You will just need to set up with your demographic, financial and social information initially. Currently, VAs are being leveraged for limited functionalities. They fulfill simple tasks such as setting up of alarm, calling someone, setting reminders and appointments, playing favorite songs based on artists or albums, opening an app or retrieving information from the web, such as a location. Soon though, VAs will be able to execute more complex tasks such as providing advisory services like selecting financial products/ services, comparative analysis, conducting transactions buy/ sell, cancel/ modify, recommendations on products, watch for offers and events and more, based on past, present and predicted context. This context will become more personalized as information gets collated from social, connected assets, health, and location intelligence. Though this is a futuristic scenario, the Insurance industry has been using VAs for more than a decade now. Almost all large insurers already have, or are in the process of implementing VAs as an integral and essential part of their ecosystem. Those who haven’t, must rethink their strategies to align with the VA revolution and its disruptive progression. We could even see new VA Management service providers emerge. They would set up and provide a VA configured to book hotels and tickets, order food, recommend and buy financial and insurance products, and similar tasks. We are entering into a ‘no touch’ era, where the user interface of apps will change and be driven by VAs. The speed of technological advances in the AI space is disrupting and opening smarter and more efficient ways we do things. 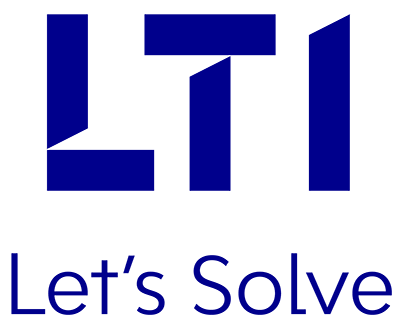 Uday is Consultant – P&C Insurance Practice at LTI. He has over 19 years of experience in Insurance Technology, Insurance Broking, and Manufacturing Engineering. ​Engaged in various implementation & consulting projects including Policy Administration, Claims Administration, Underwriting, and Agency Management, Uday is also product owner of iCEOn - Insurance Brokers, AccuRUSITM - Underwriting Workbench, two of the strategic solutions developed by LTI.